wine aroma kit. In a bottle of wine, there are a number of flavor combinations that are unique to that bottle. 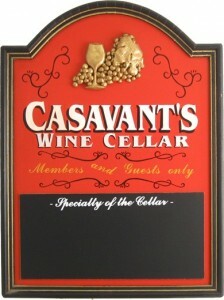 Depending on the sugars, alcohols, and phenolic content the wine can have a number of unique aromas that may seem familiar. From lighter lemon, peach or vanilla scents to heavier oak, coffee or black pepper tones – the aroma will differ from wine to wine. In a wine aroma kit there are a variety of scents. 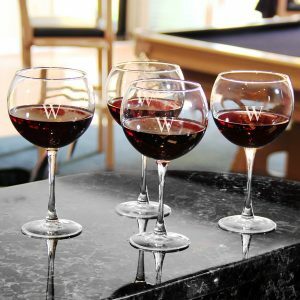 Purchase a neutral wine and disperse the bottle amongst a number of glasses. Each glass will need to have a little scent added from the kit (read the kits instructions for quantities), swirl the wine in the glass and see if your nose can pick-up on the added scent. Is that vanilla…or honey? With enough practice you will be able to pick-up on the aromas that exist naturally in the wine. 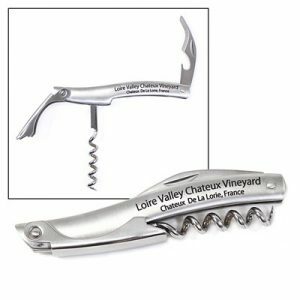 There are a variety of kits, some are for red wines others for white wines; or you can pony up and buy the big master collection. The kits have a shelf life of 10 years, after which the scents will gradually lose strength. With a 10 year shelf life, you should be able to get a lot of use out of them. 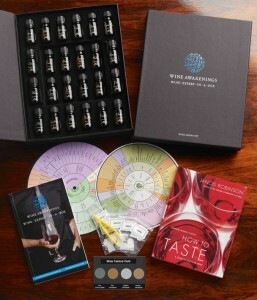 A wine aroma kit can be great fun for a party. Challenging the guests to guess the scent in the selected glasses. They will be training their nose to identify the qualities of wine without even knowing it. 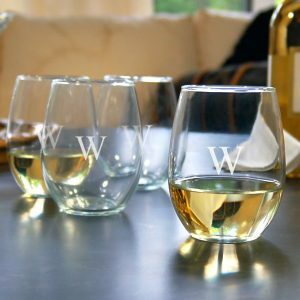 Northwest Gifts has a number of Home Bar Accessories and Personalized Glassware to class up any wine tasting party.